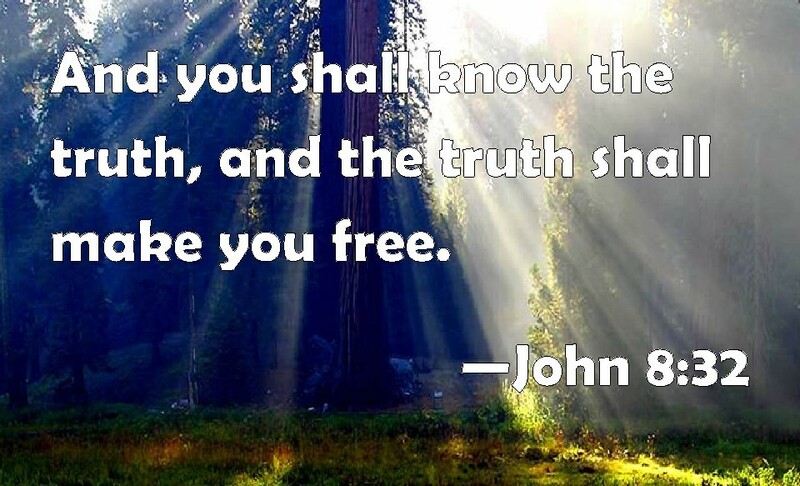 What is the truth that sets us free? – I Am Not Ashamed Of The Gospel Of Christ! Home › Prophecy › What is the truth that sets us free? Although the world holds many truth’s it is the written word of God that sets us free by applying it to our life,as we see Jesus praying these following words to His Father (John 17:13-20), 13 And now come I to thee; and these things I speak in the world, that they might have my joy fulfilled in themselves.14 I have given them thy word; and the world hath hated them, because they are not of the world, even as I am not of the world.15 I pray not that thou shouldest take them out of the world, but that thou shouldest keep them from the evil.16 They are not of the world, even as I am not of the world.17 Sanctify them through thy truth: thy word is truth.18 As thou hast sent me into the world, even so have I also sent them into the world.19 And for their sakes I sanctify myself, that they also might be sanctified through the truth.20 Neither pray I for these alone, but for them also which shall believe on me through their word; (3 John 2-4). When born again from above by the living spirit of God the truth we now follow is eternal and endures forever! (1 Peter 1:22-25),and if we continue in the words Jesus taught then are we His disciples and His truth sets us free (John 8:28-32). 28 Then said Jesus unto them, When ye have lifted up the Son of man, then shall ye know that I am he, and that I do nothing of myself; but as my Father hath taught me, I speak these things.29 And he that sent me is with me: the Father hath not left me alone; for I do always those things that please him.30 As he spake these words, many believed on him.31 Then said Jesus to those Jews which believed on him, If ye continue in my word, then are ye my disciples indeed;32 And ye shall know the truth, and the truth shall make you free.